Dogs Bite Decatur Al: BLENHEIM NEW ZEALAND - A LABRADOR "PHOEBE" WHO HAD BEEN FEATURED IN A BOOK ABOUT DOGS SEEN AT VINEYARDS AND PICTURED ON WINE LABELS WAS FATALLY MAULED AS SHE WAS WALKING OUT OF THE VET'S OFFICE BY A "LARGE DOG THAT WOULD NOT LET GO"
BLENHEIM NEW ZEALAND - A LABRADOR "PHOEBE" WHO HAD BEEN FEATURED IN A BOOK ABOUT DOGS SEEN AT VINEYARDS AND PICTURED ON WINE LABELS WAS FATALLY MAULED AS SHE WAS WALKING OUT OF THE VET'S OFFICE BY A "LARGE DOG THAT WOULD NOT LET GO"
A dog that was featured in a book about vineyard dogs has been fatally mauled outside a vet clinic in Marlborough. 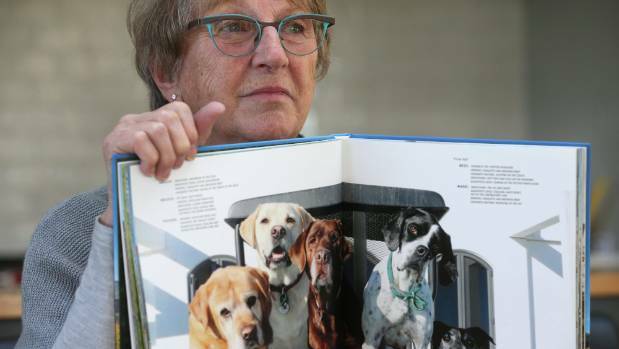 Paula Hill and her Labrador Phoebe were leaving Vets on Alabama, in Blenheim, last week, when another dog in the car park broke free of its owner and lunged at Phoebe. The dog went "straight for her throat", and bit Phoebe's ear and face, Hill said. The dog's owner let go of his other smaller dog so he could try to separate the dogs, but his other dog then latched onto Phoebe's back" Hill said. "Nobody could get the big dog off her. The receptionist hurt her hand as she hit it on the back." Hill kicked the smaller dog away, grabbed its lead and took it inside. "I was just, I'm afraid to say, a heap, I know what dogs are like when they latch on like that. There was no way this dog was going to let go." Eventually a clinic staff member threw a bucket of water on the dogs and the dog let go, but the damage was done. A vet treated Phoebe's wounds and gave her some pain relief, and Hill took her home, staying up all night with her. "I couldn't bear it, the noises she was making. I couldn't stop shaking. I was terribly upset, our nice lovely dog we loved, getting bitten like that." "A vet came out the next day to administer another dose of pain relief and check the wounds, but they were too much for the 14-year-old dog and she had to be put down. She was old, but it shortened her life, and shortened it painfully. She was such a gentle soul." "I can't believe that people have dogs like that. I'm sorry, I just think its ridiculous that people have dogs like that, always having to keep them away from other dogs." Phoebe was one of six dogs featured on Fairhall Downs' wine labels, as the small brown dog on the chardonnay bottle. 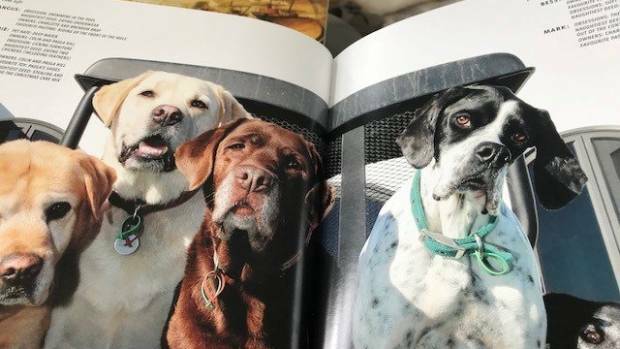 She was also immortalised in the 2015 edition of Wine Dogs New Zealand, a book on the various dogs often seen at vineyards across the country. Hill's husband, Colin Hill, said he was devastated to hear of Phoebe's death, and that he was not there to comfort Paula. He was in the United Kingdom on business at the time. He hoped the Marlborough District Council would prosecute the owner of the dog and called for tighter restrictions on particular breeds. "THESE ATTACK DOGS NOW HAVE THE BLOOD SCENT. WHO OR WHAT WILL BE NEXT, ANOTHER DOG OR A CHILD CHASING A BALL IN A PARK? WE ALL HAVE A DUTY OF CARE, BUT IT IS THE COUNCIL'S ULTIMATE RESPONSIBILITY TO TAKE ACTION TO KEEP EVERYONE SAFE IN THESE MATTERS." "The answer is always a muzzle, then they cannot bite. They need to be identified and being out without a muzzle there's a fine. You can get a bite or nip from any dog usually because of something you have done, but some dogs are bred for hunting and killing reasons and it's in their mindset, and they are dangerous." Vets on Alabama confirmed the incident, but said it could not comment further as it was bound by the Privacy Act. A Marborough District Council spokesperson said the council was investigating the incident but could not comment further until the investigation was complete. HE COULD NOT REVEAL THE BREED OF THE DOG. The Dog Control Act listed five breeds as menacing which meant the owner had to ensure they were muzzled at all times when in public. They were American pit bull terriers, brazilian fila, dogo argentino, japanese tosa and perro de presa canarro. Golly, the dog that killed Phoebe sounds like a pit bull. I mean, it broke away from the owner, it went right for Phoebe's throat, they could not get it off Phoebe, and Phoebe was in such bad shape she had to be euthanized. Yep, it was a pit bull! No DNA test needed. And THIS is exactly why I surveil the parking lot at my vets clinic before unloading my dog. I also only go in on the Cat side of the clinic to avoid any of them in the waiting room. A few months ago I got to the parking lot. Got out looked around, said out loud "no dog eating dogs around". I heard someone laugh. I then said I have to make sure there are no dog eating dogs. They told me they completely understood as their dog was inside the hospital in critical condition. They were walking her the day before and a pit bull that was in a parked car jumped out and attacked the dog and his owner. I asked them if they had called law enforcement, to which the wife gave me a look that said no, I told him he HAD to call as this dog is going to kill another pet or person again. There is no reason to own one of these dogs.